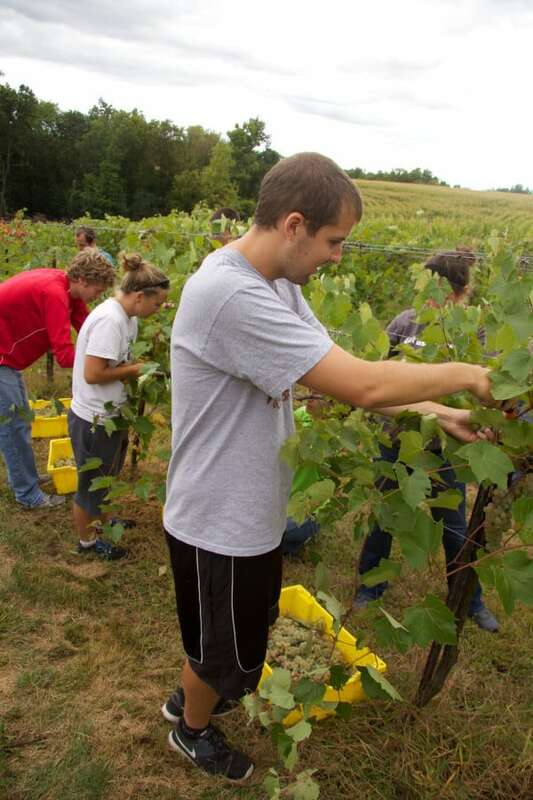 We specialize in the growing of cold climate grapes developed by the University of Minnesota and Elmer Swenson. These grapes have been developed after years of experimentation by cross breeding native American grapes with the wine grapes of Europe. 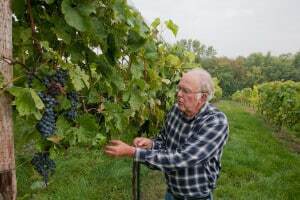 The results have been a wide variety of grapes that can withstand the cold winters of Minnesota but still produce grapes that yield wine quality similar to those grown in more traditional wine growing areas. Because these cold climate grapes have French heritage they are often named after cities or landmarks in our Upper Mississippi River Valley, such as; Frontenac, Frontenac Gris, Marquette, La Crescent, La Crosse, St. Pepin, and St. Croix. We offer an array of wines based on these cold climate grapes. We also make a few fruit wines and three port style dessert wines. Besides the grapes we grow in our three+ acres of vineyards, we purchase grapes from several local growers in the Upper Mississippi River Valley viticulture area. We plan to always purchase some grapes used for our wines. This affords us a more reliable source and encourages other growers of cold climate grapes.